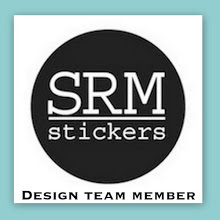 Hey friends!! 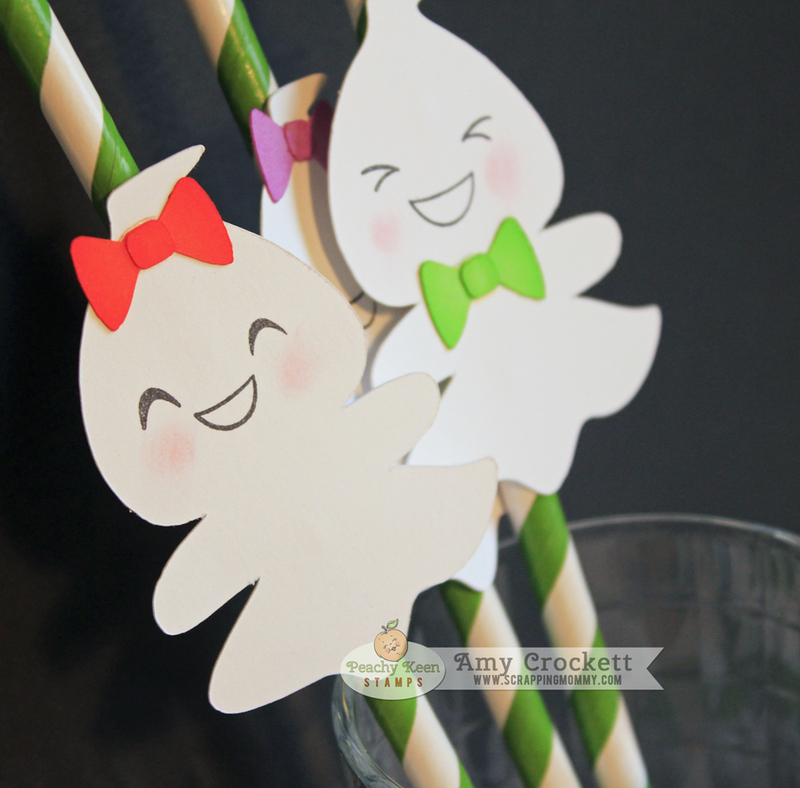 Today I have a fun project I am sharing over on the Peachy Keen Stamps blog for Face day. 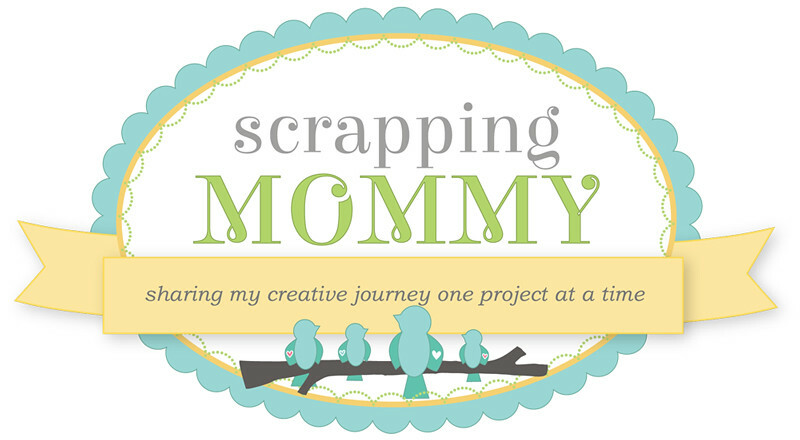 With Halloween at the end of the week, I thought it would be fun to do a project for my kiddos. 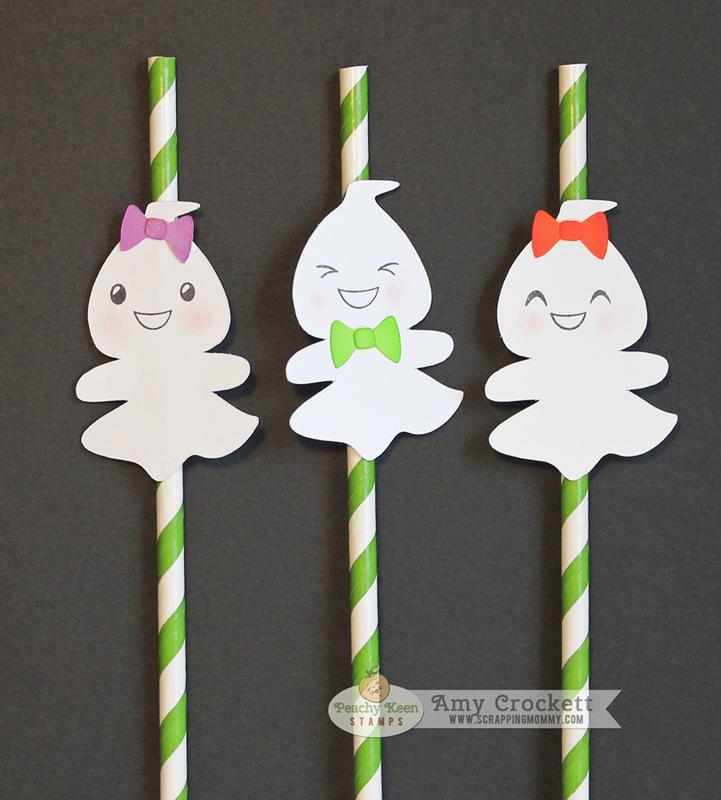 I mounted these fun little ghosts onto green stripped straws for my kiddos to use on Halloween morning to sip their chocolate milk. 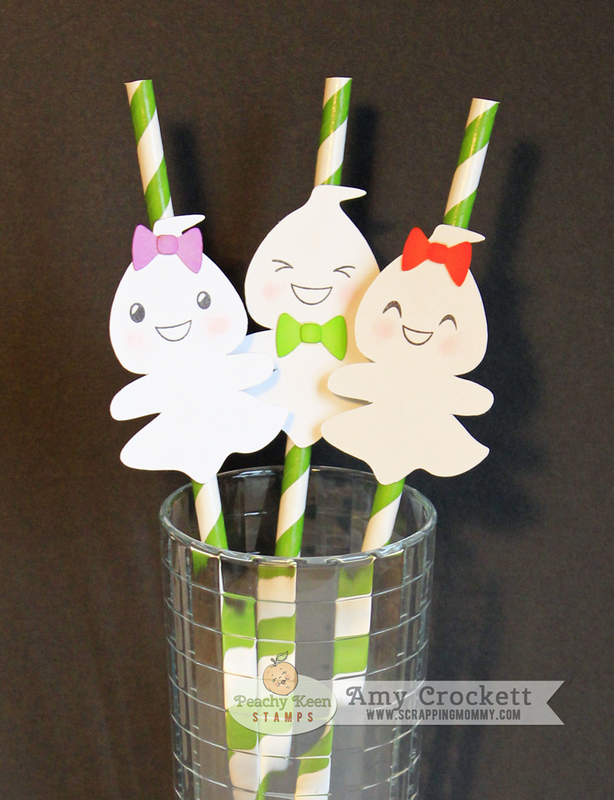 :) Here are a couple more photos of these fun straws. I hope that you have a great week! !